Let me start by saying I love thematic dressing—to a point. To me, Halloween is a moment to go all-in, whereas apple picking upstate is not. 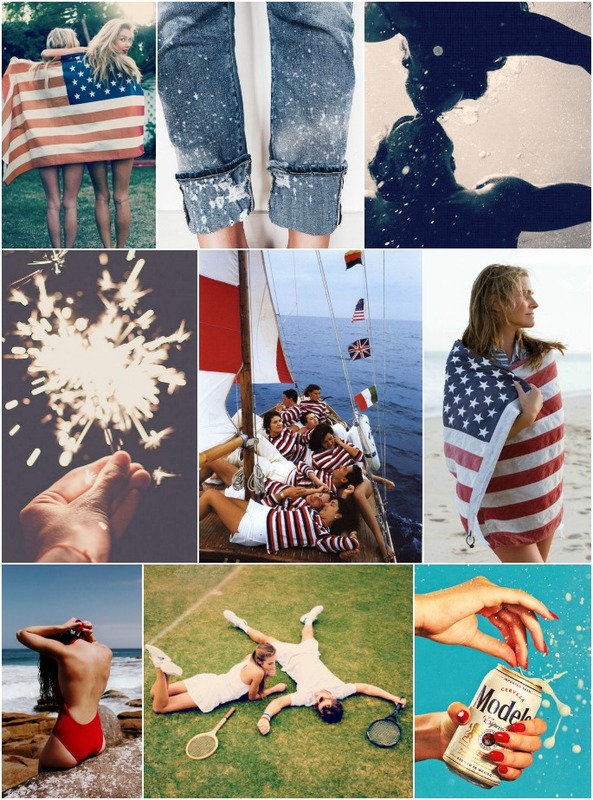 When it comes to the 4th of July, I fall somewhere in the middle. Wearing as much white and blue comes naturally to me, so adding in a pop or two of red (especially on my nails) feels like just the right touch. For the second year in a row, I'm heading out to Newport Beach, CA for the holiday, and I'll be spending America's birthday beach-cruising the peninsula with a whole girl gang imported from NYC. The day will kick off with a morning bagels-and-beer-pong party followed by a stop at Billy's At The Beach for their world famous Mai Tai's, then some more bicycling on the beach and of course fireworks—and now that I'm thinking about it, I'm actually feeling like I want to look quite festive. Aside from the on-the-nose 'America!' Cruiseys (how fun are these, by the way? My friend started this company and they're blowing up! 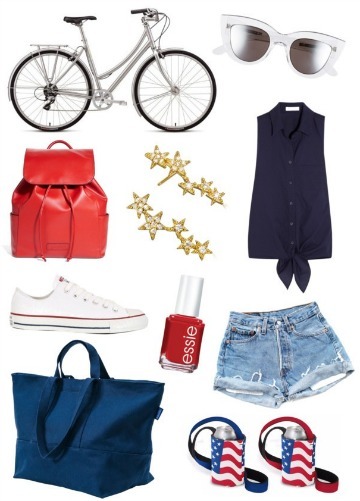 ), all I need to get in the spirit are my trusty Levi's jorts, a crisp leather backpack that's perfect for cycling (and will look as great on the 4th as it will all year long), classic Converse kicks and perhaps some Instagram-friendly statement sunglasses (I love these cat eyes from BCBG). The 4th Of July is one of the most delightful and energetic days of the year, and basically a 24-hour celebration of all things summer. It's an excuse to embrace some serious Americana vibes, so have fun with it—and forget all the subtlety I mentioned above if you really feel like it. Why not tie a jaunty bandana around your neck (this look is trending hard right now, trust me) or go Southwest Americana with a pretty embroidered dress from Madewell? Or, just wear a simple all-white outfit and top it off with a patriotic snapback. I rounded up my essentials for the day in a handy scrolling grid below, so go ahead and get your 'Merica on.